Prior to that, this man rocked the Kewsick Theater when UFO played with Blue Oyster Cult in 2004. Raymond was always willing to stop outside of a backstage door to meet with fans and sign an autograph. 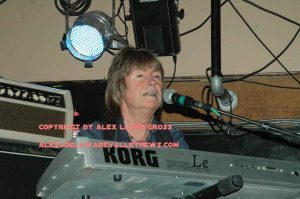 As the band returned to the area, with a new record called “The Visitor” in 2009, Raymond played the Sellersville Theater. in 2013 and again in 2015. Each time, he gave it everything he had, and then some. Alex Lloyd Gross Photo- Delaware valley News.com Paul Raymond signs autographs outside the Sellersville Theater. 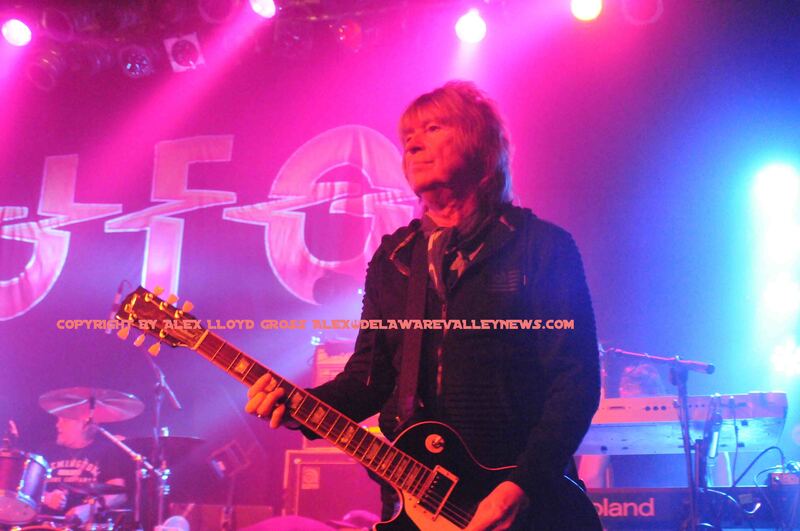 In 2011, UFO played a gig at Havana in New Hope and tore the roof off the place. It was a hot night that May 11, and after playing staples like “”Doctor Doctor”and “”Rock Bottom” he also pulled out “The Wild Willing and Innocent” to open the show with. What a night. After the show, he could be found in the parking lot signing autographs for people. When he met you, he remembered you. In March of 2017 it appeared UFO would not play Philly, so several UFO fans made the trip to NYC to see them at one of the last shows at BB Kings. Paul Raymond loved what he did. He loved his fans and he loved coming to this area. He will be missed tremendously.